It’s no secret that working conditions for AT&T’s technicians can be poor, but they’re also taking an emotional toll. “I feel like less than a number,” said one technician. “I am a line item on the balance sheet that shows a negative.” Watch our latest video featuring their story below. Our technicians love the work they do, and they know better than anyone what needs to be done to provide quality service. Yet AT&T executives clearly don’t care. They force us to meet strict efficiency numbers, while refusing to invest in efficient infrastructure. We’re not numbers—we are the backbone of this company. Help us share these important stories on Facebook. 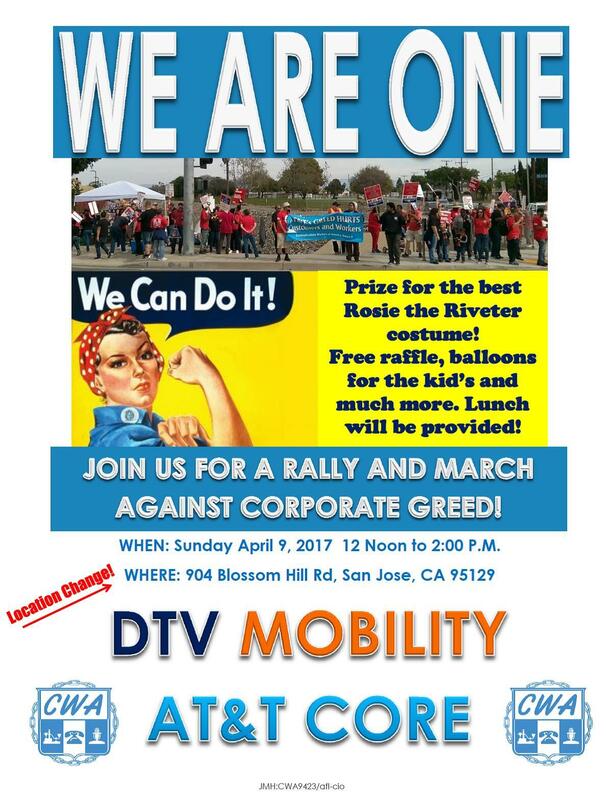 And join us as we mobilize for a fair contract. Our next big event, on April 9th, will mark the 1 year expiration of the AT&T West Contract, covering 17, 000 employees in California and Nevada. In addition, approximately 2300 DIRECTV workers have been fighting for a first contract since gaining union recognition in April of 2016. CWA also has over 20,000 AT&T wireless technicians, retail sales and call center workers working on an extending contract which expired on February 11, 2017. Come to the rally and let your voices be heard. Contact your local union for details.